We understand that all healthcare organizations are different, but all share a need for high quality service at affordable prices. Our goal at Ultra Imaging Solutions is to listen to you and craft a customized solution that meets your organization's specific needs. We provide a full range of support solutions, including accreditation assistance. We invite you to give us a call or send us a message for a free consultation or quote. 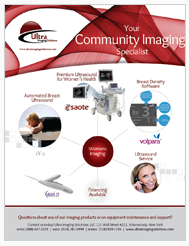 Ultra Imaging Solutions highly trained service engineers have over 75 combined years of ultrasound service experience. We offer northeast regional coverage and in-house repair capabilities to provide healthcare organizations with best-in-class, timely and responsive service at a cost-effective price point. "Ultra Imaging Solutions service has been nothing short of exceptional." 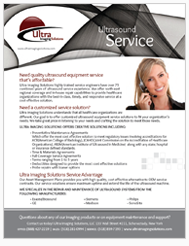 Ultra Imaging Solutions is a high quality, cost-effective alternative to OEM service contracts. 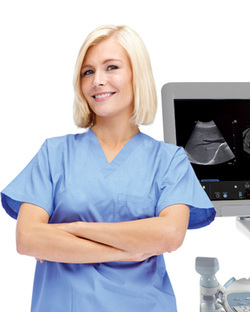 Our solutions ensure maximum uptime and extend the life of your ultrasound systems. We specialize in the repair and maintenance of ultrasound systems from the following manufacturers. "The staff at Ultra Imaging Solutions has done a great job making me feel like I am their most important customer. UIS is awesome! Accreditation is more important today than every before. We offer the most cost-effective solutions to meet regulatory requirements involving accreditation organizations and state, hospital, or insurance defined standards. We invite you to give us a call or send us a message for a free consultation or quote.